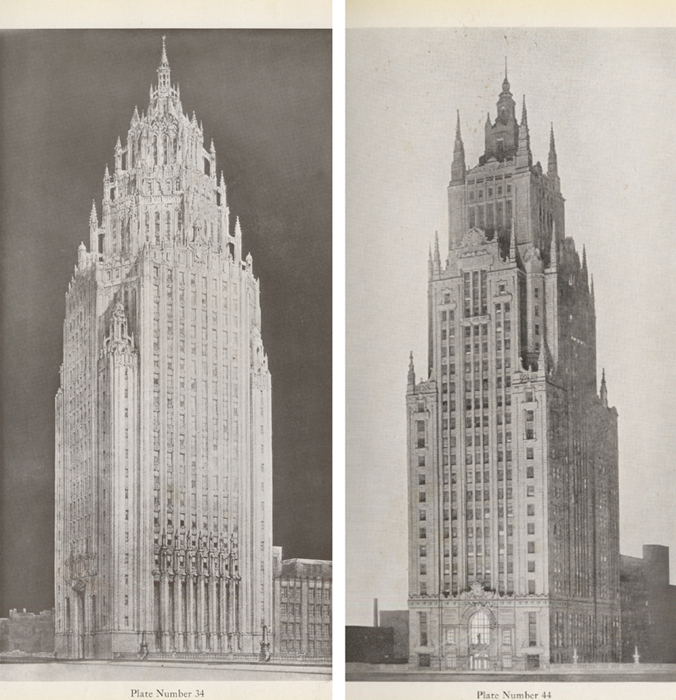 In June 1922, the Chicago Tribune announced its intention to construct a new headquarters that would be "the most beautiful office building in the world." 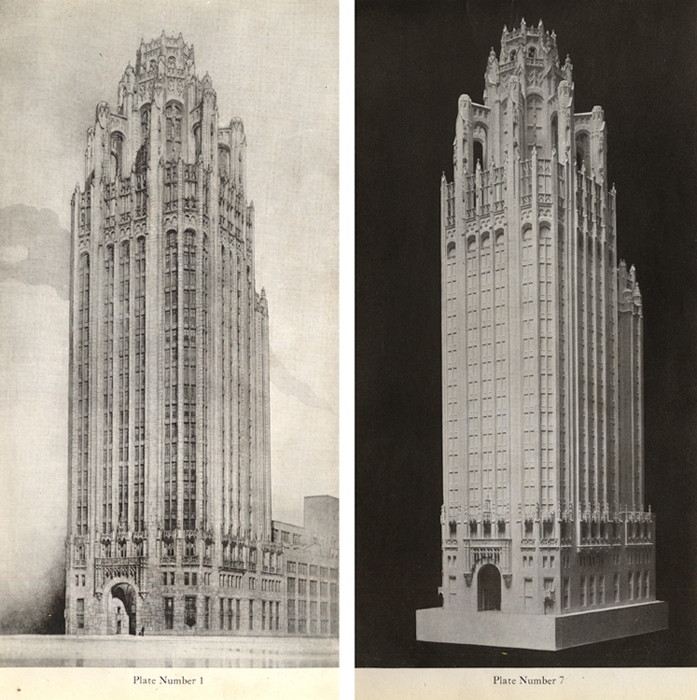 To find its architect, the Tribune conceived a competition that was also a brilliant publicity campaign. With a $50,000 first prize (the equivalent today of about $690,000! ), and $20,000 and $10,000 for second and third prize, the competition generated massive press coverage and attracted 263 entries from twenty-three countries. 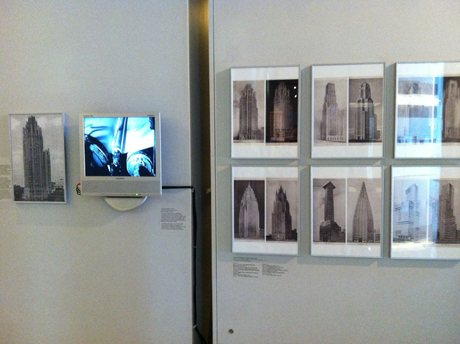 A range of the winning entries and some famous modernist contenders from Europe are shown in the frames at the right. To ensure the prestige of the event, the paper invited ten nationally prominent firms to submit designs and paid each $2,000. Among the invited was New Yorker John Mead Howells, the son of author and editor William Dean Howells, as well as a cousin of the Tribune publisher Robert R. McCormick. 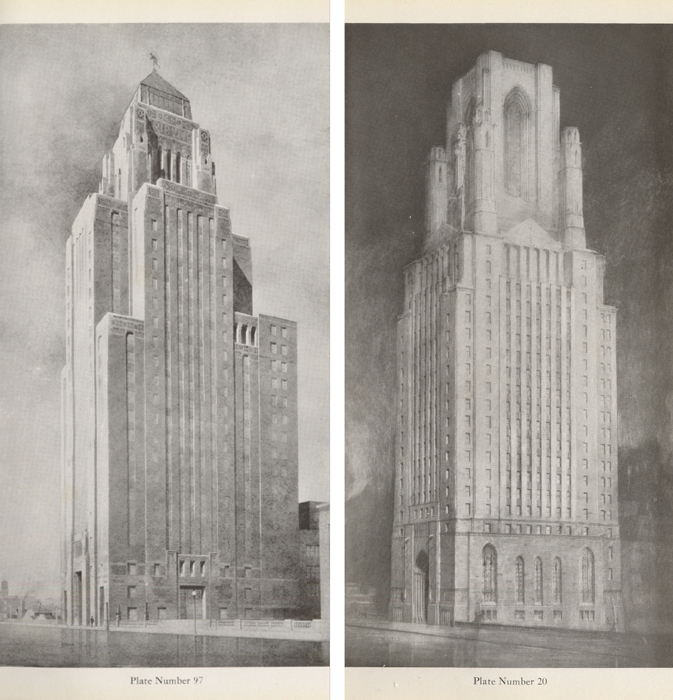 Unable to devote sufficient time to the project, Howells sought an associate to prepare the entry and happened fortuitously on the young architect Raymond Hood, who needed work. Hood created the drawings and seems to have been responsible for much of the design, which was a Gothic spire modeled on the medieval Butter Tower of Rouen. 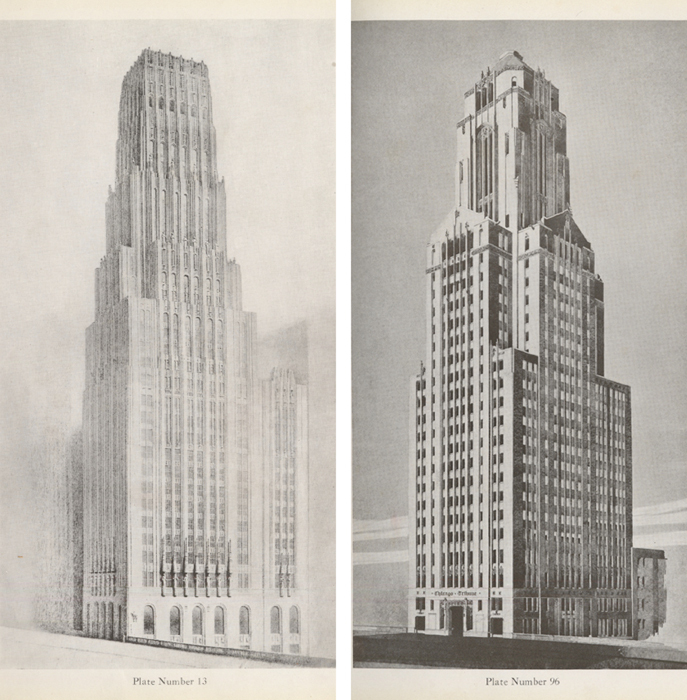 Plates from the Tribune Company, Tribune Tower Competition, 1923. 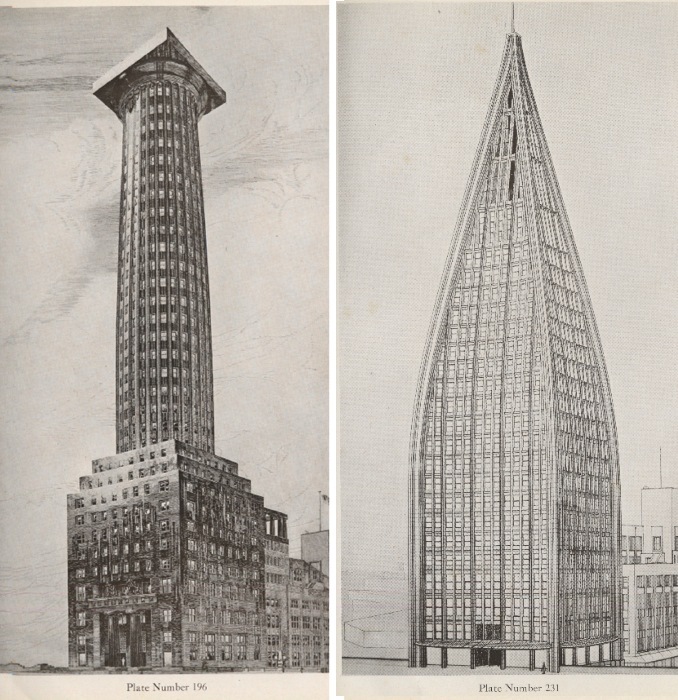 Collection of the Skyscraper Museum.